We get lots of questions every day. Some are support queries from existing customers, some are general enquiry questions from potential customers or existing customers. We thought it would be helpful to share with you our responses to the type of questions we are regularly asked. 1. Am I ok to go ahead and buy a new PC? NO!!! This happens A LOT. I can't stress enough the importance of cross checking with us on hardware compatibility with your Sage software. Just because the latest and greatest Microsoft software is being released and is available on your new PC/Laptop, it doesn't mean that it will work or is supported on your existing Sage software (which may even be a few versions behind). So, always check with us BEFORE buying new hardware, upgrading existing hardware or software. You have a number of options here. The first is the simplest which involves upgrading your Sage 50 to the latest version (if you are not already on Version 2015 or higher) and implementing Sage Drive. Sage Drive links your data to the cloud. (It doesn't mean it is a cloud application - you still install the application onto your PC or Server. It means that your data is in the cloud and can synchronise with remote users). For example, a colleague working from home or anywhere outside the office can access the updated information and work on the same data as if they were in the office. If a cloud/hosted solution is what you are looking for with perhaps some more advanced functionality, then we have the Sage 200 Standard and Sage 200 Online Extra options. Sage 200 Standard is a straighforward accounting solution for businesses who need an affordable online accounting solution. It sits between Sage 50 and Sage 200 Extra Online. It offers businesses an accounting software solution without the need to invest in a server. This hosted solution includes the Financial Suite, Commercials Suite (Stock, Order Processing), a Web User (to get access to key data while on the move) and Excel Reporting. Sage 200 Extra Online includes more comprehensive functionality and in particular Project Accounting, Bill of Materials and Purchase Order Authorisation. 3. We're using Sage 50. How can we get our information while out and about? From Version 2015 onwards, this is simple. There are two really good app's available: Accounts Tracker and Mobile Sales. Accounts Tracker can help you see how your business is performing. You can see information such as: top level sales, purchases, bank balances, profitability. You can also navigate to more detailed information such as profit and loss balances and invoice details. You can find customer and supplier contact details easily and you can keep an eye on cash flow by viewing customer and supplier invoices by due days, overdue days and value. This app is ideal for mobile sales people who need to maximise their time and get the information they need at their fingertips. With Mobile Sales, your team can view information (such as products, prices, customer details). They can also create transactions such as quick quotes, orders and invoices. Sage Drive is free for year 1 (comes with 1 remote user free). Thereafter it's charged at €35 per month. 4. Can we modify Sage 50 for our specific needs? It really depends on what exactly you are looking for. Actually modifying the software is not permitted, however it may be possible for our development team to create import routines or external applications that may feed into Sage 50. The best advice I can give is to drop us an email support@envisagecloud.com and ask your specific question. We'll be straight up with you and tell you whether your requirements can be addressed with Sage 50 or not. 5. I forgot to back up my data for the past few nights. Is there any way of setting a reminder to back it up in the future? If you are running Version 2015 and above, you can schedule your back-ups to run automatically. The system will also check your data before doing the back-up (to make sure you are backing up "clean data"). Another big plus with 2015 and 2016 is that you don't need to be logged out before taking the back-up. 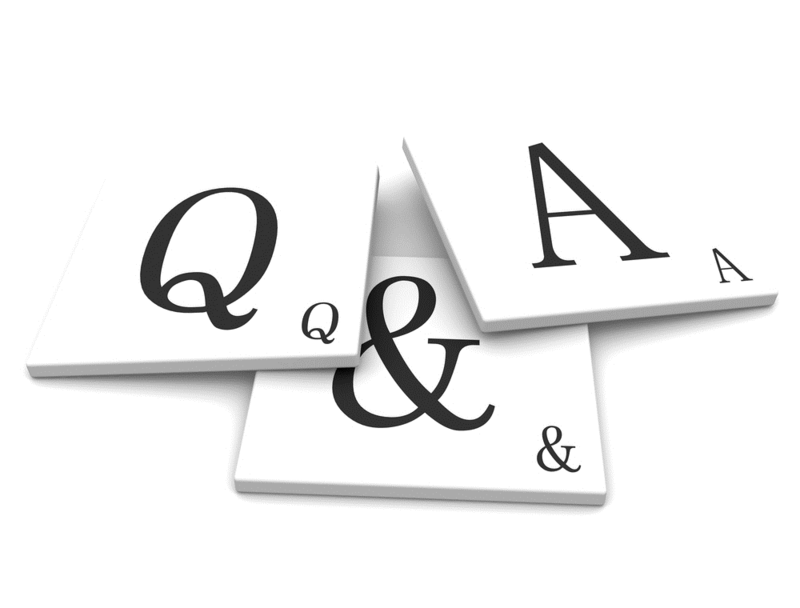 Check back soon...we will be running similar blog posts with Sage 200 and Sage CRM questions. Would you like to get some tips on how to get the most from your accounting software? Click below to get your free e-book.